Looking for the perfect insurance plan for your home, auto, or business? Check out the insurance products available at The Financial Center in Memphis, TN. Our insurance company offers a wide variety of policies that are customizable to cover your specific insurance needs. Partner with us today and get access to premium insurance plans! With strong affiliations with the leading insurance providers in the area, we guarantee to provide you nothing but the best products in today’s local insurance market. In the complex world of insurance, seeking professional support in choosing and purchasing products is a smart and practical decision. 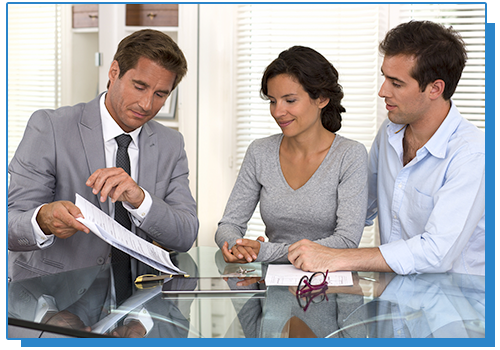 Make The Financial Center your partner in insurance! Our insurance company is staffed with competent and qualified insurance agents who will work closely with you to find and purchase a plan perfect for you. Get in touch with our professionals! Find the ideal insurance plan today! To get started, schedule an appointment with our insurance company and consult our experts about your insurance needs and budget. We will construct a roster of high-quality insurance products that are carefully selected to meet your requirements. Call us to book a consultation. We look forward to serving you!